Happy Monday! Hope you had a great weekend. It was unseasonably warm and sunny here, so we took advantage and got outside. Even my daffodils are about to bloom...which isn't going to end well for them when things come crashing back to winter in a few days. 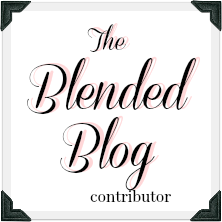 Today I'm linking up with The Blended Blog to share a few Boss Babes you should know about. This is an exciting topic, because I love the act of supporting each other, any way we can. I can't wait to meet all the Boss Babes! ↣ Let's start with Collette, founder and owner of Brand Squawk. This Canadian boss babe started her clothing company two years ago. 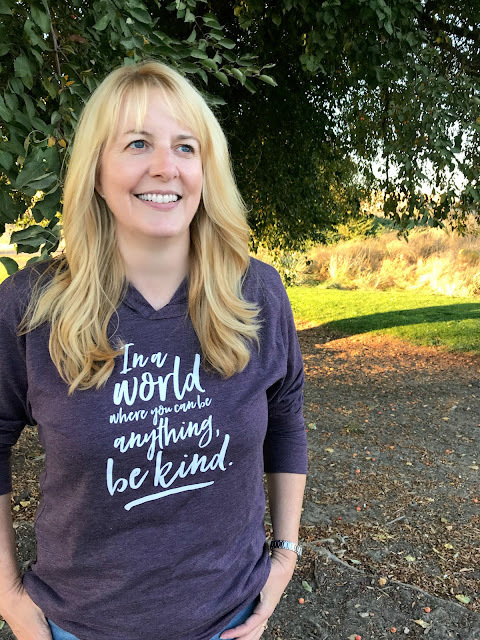 She designs positive vibe t-shirts and sweatshirts for the jeans and tee girl. All of her apparel pieces are hand screened and created in limited numbers, and they're high quality and FUN! Collette also donates a portion of every piece sold to World Bicycle Relief Organization, which builds and distributes rugged bicycles for women in rural areas of Africa. This amazing woman has built a fantastic company, so go check her out! ↣ I've written about Mary from Evolve With Mary before, because she's one of those people that just makes you smile. She's happy, inspiring and uplifting - and she's also a fabulous boss babe artist. Go here to check out a few of her art pieces. ↣ Recently, a sweet lady contacted me on IG and asked if she could send a few of her necklaces. 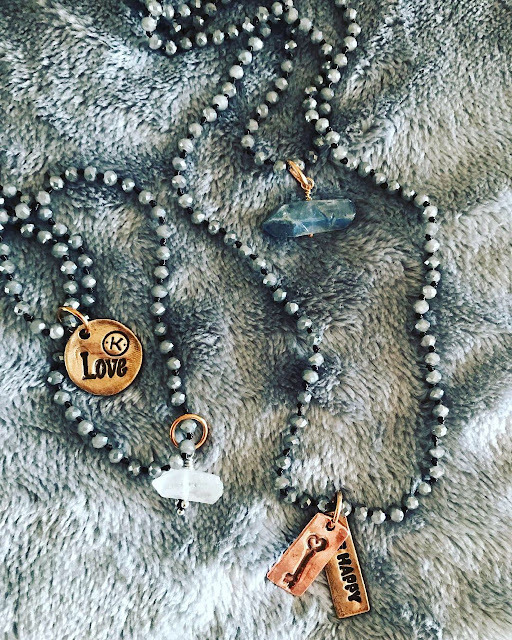 I looked through Catherine's boss babe Etsy shop and was immediately taken with her beautiful, handmade jewelry. Her designs are unique, well made, and full of positivity and meaning. If you're looking for a very special gift for someone in your life, head to Katia Designs. ↣ My friend Catherine is a boss babe among boss babes. 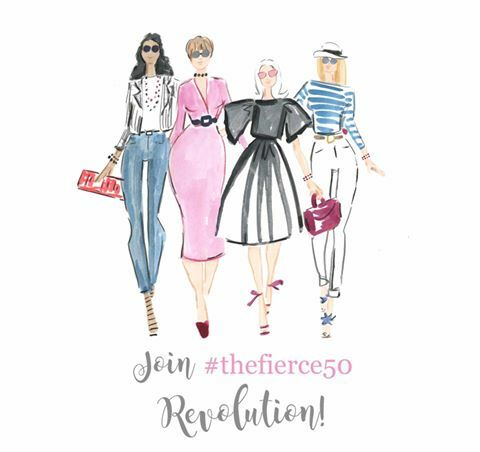 Founder of the Forever Fierce Revolution, she has created a community for women to help change the perception of midlife and beyond. Through podcasts, newsletters, weekend experiences and the Facebook group, she's working to show the world that women at midlife are vital, strong, and influential. Catherine is also one of the kindest, most supportive women you will ever meet. ↣ And finally, some brand new boss babes. 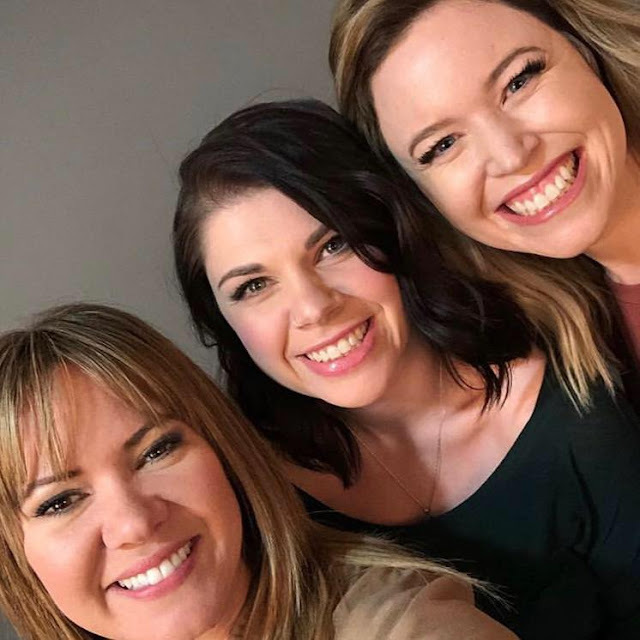 Deena, Abbie, and their friend Rachel are just launching Salt and Light Lifestyle and I have a feeling it's going to be amazing. They'll be writing a blog, doing a podcast, and selling curated apparel pieces. It's fun to witness the beginning of their journey. You'll want to follow them! Be sure to hop over to The Blended Blog to link up your posts and share your boss babes! Have a great week! Great post. You are a boss babe yourself! I so wish I’d gotten my shirt so I could’ve shared it today. I’m hearing they are sooooo soft! You will love your shirt! Love my graphic too! Her pieces are the best. Yes, the trio will be wildly successful and I'm thrilled for them! We got the same style/colour piece but different sayings! That's because we're cool like that. I know of Mary and Catherine and they do rock! And Brand Squawk is also awesome. I love that you're highlighting such awesome women. We are getting bad weather now and it's supposed to snow for four days straight when we're supposed to leave for Florida. It looks like we'll be able to get out ok but it's annoying! We just want to be in Florida! The bad weather will make you appreciate Florida even more! You hit the nail on the head with these, Lana!! I love my Brand Squawk top...mine says Perfectly Imperfect and I get so many comments on it!! Collette has the best sayings! How fun! Loved all the Boss Babes you mentioned! Especially loved your shirt! I can't believe y'all are having so much warmer temps than we are here in Louisiana! It's COLD here! Isn't that crazy! And it's pouring in LA but sunny in Seattle! Great job my friend, you know so many boss babes and each is so inspiring! I am excited about Abby and Deena's new venture. I love seeing women do things they love. That jewelry is so pretty too, I must check it out.